Choose from a 6-speed automatic transmission with TAPshift® for smooth, precision shifting or take full command with the new 6-speed manual. Either way, the SS engine delivers 415 horsepower with the control of StabiliTrak® and the traction of a limited-slip rear differential. That means you’ll be in total control in the 4.7 exhilarating seconds it takes to reach 60 mph in the SS with automatic transmission. And once you’re up to speed, race-proven Brembo® brakes are ready to stand up to repeated hard stops. 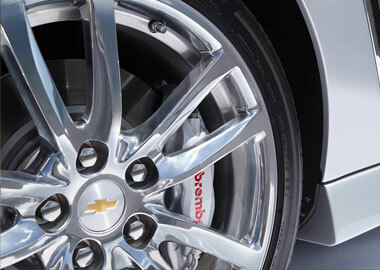 High-performance Brembo® brakes feature 4-piston 14-inch front rotors and 4-piston 14.2-inch rear rotors. The calipers provide increased stiffness to reduce fluid displacement, and the rotor design improves cooling and durability. Forged-aluminum alloy 19" x 8.5" wheels up front and 19" x 9" wheels in the rear are equipped with summer-only performance tires that plant an athletic stance, fully enabling the powerful rear-wheel-drive capability. Take control of the gearbox and make SS submit to your every command. Now available for 2015 is a 6-speed manual transmission to stand alongside the fluid, TAPshift®-equipped automatic. 2015 Chevrolet SS shown with 19 inch polished forged-aluminum wheels with Brembo® 4-piston brakes. 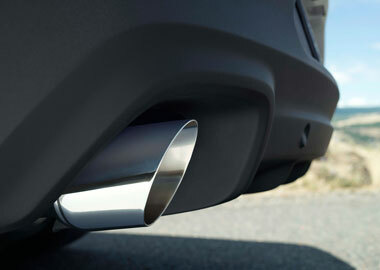 Dual-outlet 3-inch stainless steel bright-finished exhaust tips. 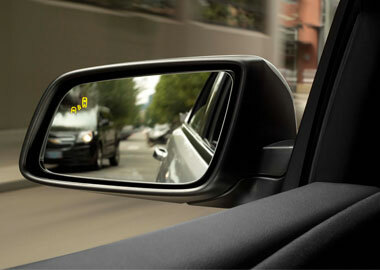 Side Blind Zone Alert uses radar sensors on both sides of the vehicle to help look for other vehicles. The innovative Chevrolet SS sports sedan can almost park itself. Automatic Parking Assist provides hands-free parking by accurately detecting a space and working with you to steer into it. The smart, easy-to-use Chevrolet MyLink infotainment system unites music, apps and navigation. Set on a large, 8-inch diagonal high-resolution color touch-screen, the graphic interface features intuitive functions and a 9-speaker Bose® premium audio system. A color Head-Up Display features vital information such as your speed, turn-by-turn directions and more. Projected onto the windshield directly within your field of vision, this display keeps you informed while your eyes are safely on the road. Whenever your SS is on, 4G LTE Wi-Fi® is on too, offering great signal quality and bandwidth for up to seven devices†. Simply put, it’s the most powerful and reliable built-in data connection available from any car company. Which means you can easily connect on the go. Get supported in style. Hand-wrapped leather-appointed performance seats are built with firm bolsters and 2-way adjustable lumbar support. They include sueded microfiber inserts and are crafted with twin needle stitching. Rear Cross Traffic Alert helps alert the driver to crossing traffic from behind while the vehicle is in Reverse. Similar radar sensors help keep an eye on blind spots to the side of the vehicle with Side Blind Zone Alert, which illuminates small LED-lit symbols in the corresponding outside mirror when another vehicle is detected. In the event of a collision, the vehicle’s innovative safety features go to work and help to protect with eight standard air bags.